I have these three best friends, we’ve been together since the beginning (well from the age of about 12 at least) that’s a lot of laughs, tears, wine, tea, fun and stories, the bond goes beyond memories, we know the best and the worst of each other and we’re very lucky to have each other. Occasionally we go on mini adventures and yesterday, randomly, we went on an Alpaca Experience. It had been a birthday present for one of the girls and we all tagged along for the fun of it. The experience was at Pennybridge Farm in Hook. Finding it was no easy task but once we arrived we were greeted by really friendly owners with tea and coffee, given a talk about Alpaca, a chance to feed the alpaca and goats and then we got to walk them. I wasn’t really sure that walking alpaca would be much fun. I was very wrong! Bella and Snowdrop not only liked to stay together but we’re actually completely inseparable! They followed each other, ran after each other if one was too far ahead of the other occasionally stopped altogether just to have a little cuddle with each other. They quite often walked with Bellas head resting on Snowdrops body as they went. It was adorable. They liked human cuddles and affection too. We had made new friends! 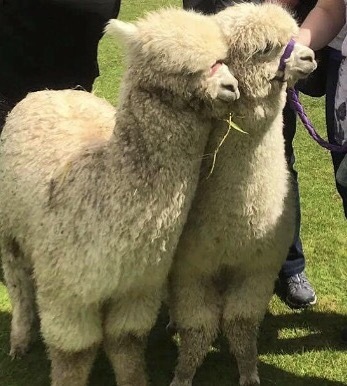 We found out from the owner of the farm that Snowdrop was 10 months old and had been raised on the farm and Bella was a year old and had been brought in recently, Bella was a bit needy and shy and had taken a liking to Snowdrop and they had been inseparable ever since. It was so great to see them play together and cuddle, and we had a hilarious time with them. 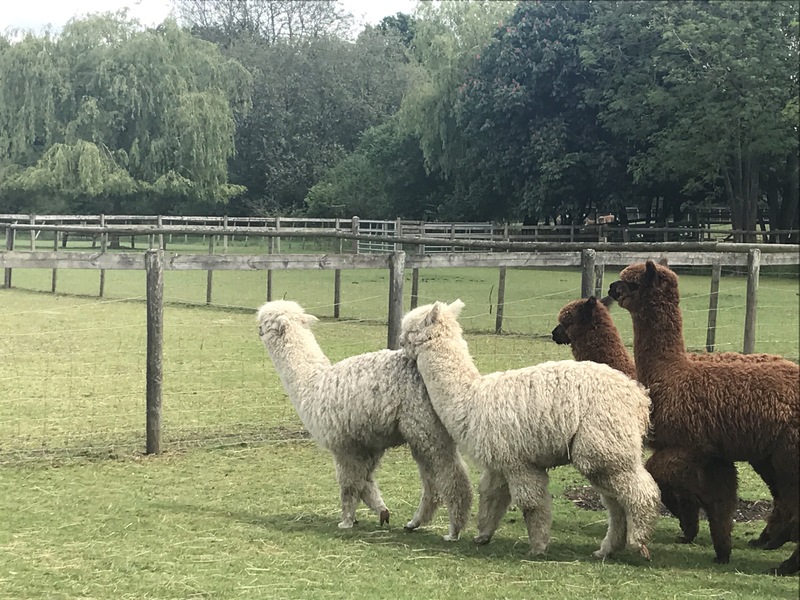 My friends are such an important part of my happiness and spending a day in the sunshine with them yesterday was the perfect reminder of how magical and gorgeous life is, and meeting alpaca friends made it all the more unique and lovely. Spending time around animals is really soothing, we all forgot our worries for a day. A day to reset and laugh means that I’m starting the week feeling relaxed and content and getting ready to plan out next adventure. 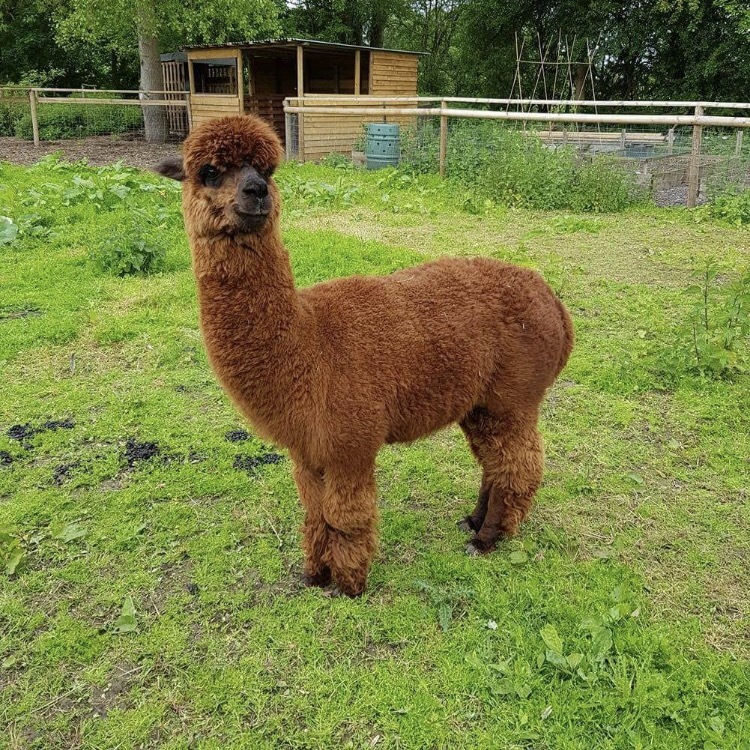 *Our Alpaca experience can be found on Groupon and is highly recommended for children and adults of all ages! Previous Post Strength, Hope and Never Giving Up…. I never knew I needed an alpaca experience until just now. Me neither Quinn, me neither! It was the most fun I’ve had in ages, at one point I was crying with laughter at our pair of naughty alpaca! I didn’t know this was a thing either! It was great fun though!